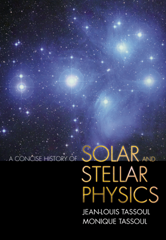 This book provides a comprehensive overview of the history of ideas about the sun and the stars, from antiquity to modern times. Two theoretical astrophysicists who have been active in the field since the early 1960s tell the story in fluent prose. About half of the book covers most of the theoretical research done from 1940 to the close of the twentieth century, a large body of work that has to date been little explored by historians.